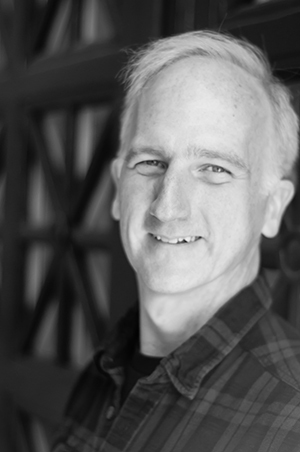 Thomas McNeely will visit SHSU on Feb. 19 to read from his debut novel, set in Houston. When Thomas McNeely first found work after college, it was as an investigator at the Texas Resource Center, which represents death row prisoners on their appeals. As part of that work, he spent a lot of time out at the Ellis II Unit, talking to the guys on the row. Now, all these years later, McNeely will return to Huntsville, but this time as a debut novelist. The Houston native will read from “Ghost Horse,” winner of the 2013 Gival Press Novel Award, on Feb. 19, in Evans Complex Room 212, beginning at 6 p.m. The event is free and open to the public, with refreshments to follow. Set amidst the social tensions of 1970s Houston, “Ghost Horse” tells the story of 11-year-old Buddy Turner's shifting alliances within his fragmented family and with two other boys—one Anglo, one Latino—in their quest to make a Super-8 animated movie. As his father's many secrets begin to unravel, Buddy discovers the real movie: the intersection between life as he sees it and the truth of his own past. In a vivid story of love, friendship, and betrayal, “Ghost Horse” explores a boy's swiftly changing awareness of himself and the world through the lens of imagination, according to Scott Kaukonen, director for the Sam Houston State University Department of English’s Master of Fine Arts in Creative Writing, Editing and Publishing program. “‘Ghost Horse’ took over a decade to write,” McNeely said. “During that time, I lost my father to suicide. Though I had started ‘Ghost Horse’ before his death, it became apparent to me that the novel was a dialogue with him about our relationship, an attempt to understand his absence earlier in my life. Of “Ghost Horse,” Lisa Peet, of Library Journal, writes, “The writing is sensitive, beautiful, and ominous throughout—I hate when people use lazy author mashups to define a book, but I can’t resist: it’s as if Cormac McCarthy and Denis Johnson teamed up to write a 1970s Texas YA novel that went off the rails somewhere—in a very, very good way." McNeely grew up in Houston and graduated from the University of Texas at Austin, where he reviewed films for The Daily Texan. After college he became an investigator for The Texas Resource Center, a public interest law firm that represented death row prisoners during their appeals. This experience became the basis for his first published story, “Sheep,” which appeared in the Atlantic while McNeely was still an MFA student at Emerson College. He went on to receive several awards, including the Wallace Stegner Fellowship. McNeely currently teaches in the Stanford Online Writers’ Studio and the Emerson College Honors Program. His reading is the latest event in the MFA program’s ongoing reading series. Previous visitors this year have included Tiphanie Yanique and Adrian Matejka. Upcoming events include the National Book Awards at Sam Houston, March 22-24. For more information, contact Kaukonen at 936.294.1407.